No longer be concerned about a payer’s interpretation of HIPAA 837, let us do that for you. 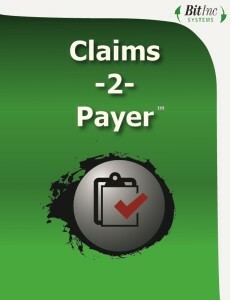 Payer-specific data stored either in your system or the Claims-2-Payer™ system. The Claims-2-Payer™ system extracts data from your claims system and formats it for delivery of claims information to payers. Using our DaFoDiL™ data format description language, the Claims-2-Payer™ system makes it easy to comply with each payer’s unique interpretation of HIPAA 837 specifications, NSF, or their own proprietary encounter formats.